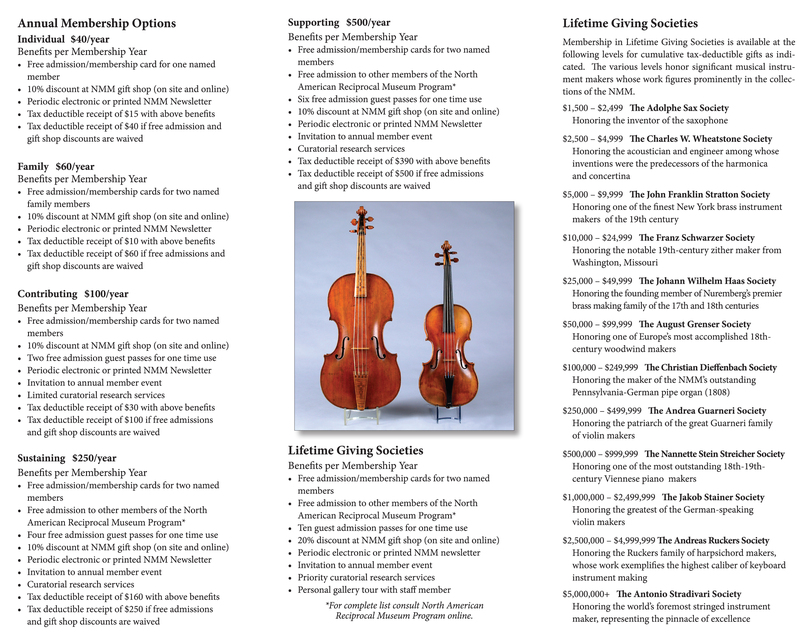 Other means by which to support the NMM include the Founder's Circle and The Amati Society (Estate Planning). 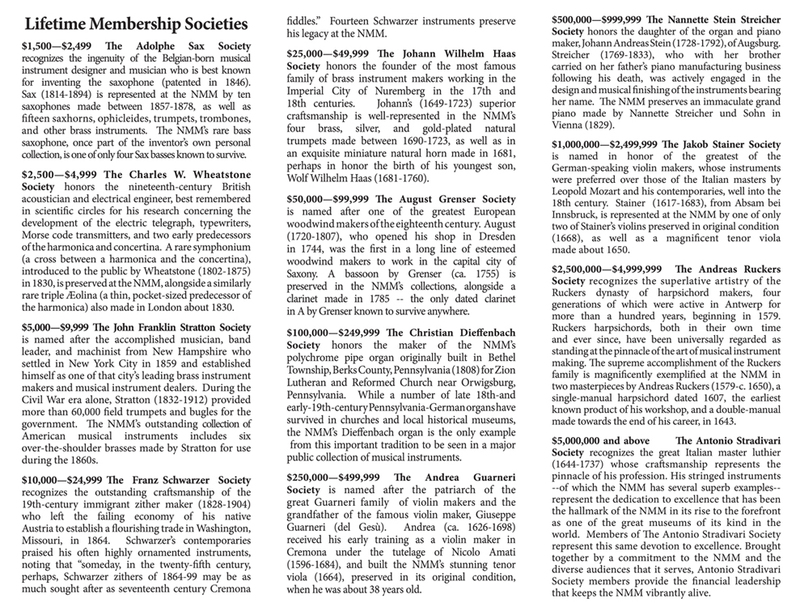 Membership dues and donations are tax deductible, within the limits provided by law, and directly assist in supporting the many public services of the NMM. 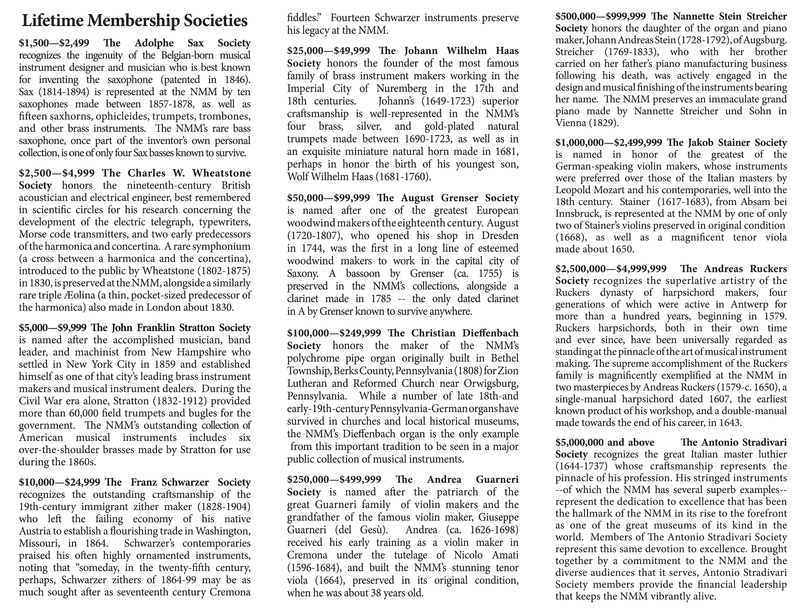 The NMM will recognize major supporters in terms mutually agreeable. 1) Personal check (checks accepted only in US $, drawn on a U.S. Bank) paid by mail or in person (Monday-Saturday 9:00 AM-5:00 PM and Sunday 2:00 PM-5:00 PM Central Time). 2) Visa, Mastercard, and Discover cards accepted by mail, fax, phone, or in person (Monday-Saturday 9:00 AM-5:00 PM and Sunday 2:00 PM-5:00 PM Central Time). Please indicate your account number, expiration date, and CV2 code. 4) Click here to download membership application (PDF version).